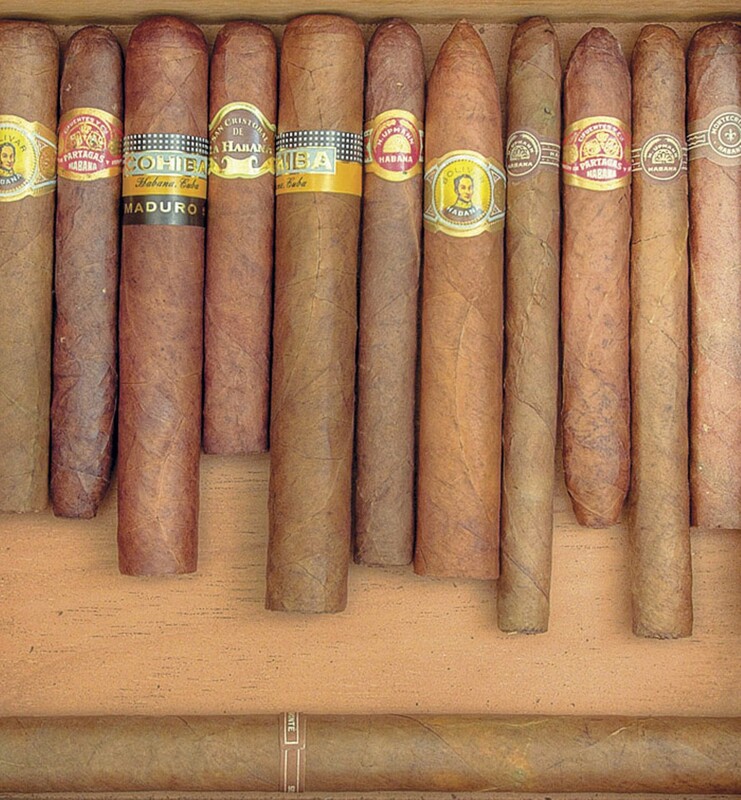 The Hill Cigar Company has a selection of boutique cigars. Walking through the front door of the Hill Cigar Company is like discovering a home you never knew you had the keys to. In the front room there's a ring of comfortable chairs occupied, usually, by a harrumphing collection of good-natured smokers. The walk-in humidor is a veritable Cigar Library of Congress: Aficionados will thrill at the selection of boutique cigars and new releases, while novices will get the hand-holding they need to find their flavor. The highlight, however, is the lounge, which is laid out with blocky leather armchairs, continent-sized couches and a full kitchen. Grab a chilled glass from the fridge, pull out a bottle or flask (it's BYOB) and do what comes naturally. Cut and spark that cigar. Offer your neighbor a drink. Turn on the game. Do whatever you want to make yourself at home — because you are. 5360 Southwest Avenue, St. Louis, 63139. 314-776-4455, www.hillcigarco.com.